GSL Electronics is a privately owned company that designs, manufactures and distributes power conversion and electronic equipment for the automotive, communications and solar industries. We are based in Sydney, NSW and maintain a network of distributors and stockists throughout Australia and New Zealand. We have also recently commenced sales of solar products to markets in Asia. Our product range includes solar chargers, voltage reducers, voltage doublers, battery chargers, dual battery isolators, fluorescent lights, light inverters, power inverters, power supplies, brake controls and reversing alarms. Our design and production excellence has been recognised with industry awards including the 2008 and 2009 EDN Innovation Awards (Best Application in Analogue Design and for our MPPTs) and Consensus Green Tech Awards 2009 (for our MPPTs). 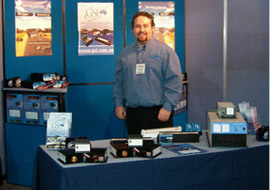 GSL Electronics was also a finalist in the Engineering Excellence Awards in 2007. Our goal is to provide our customers with superior products and services by developing innovations and solutions that are effective and durable, while providing our employees with meaningful work and advancement opportunities. That's why at GSL Electronics we believe we have "The Power to Move Australia Through Quality Products and Excellence in Customer Service." Community Involvement is an important part of GSL Electronics' philosophy. For the last four years, we have been partnering with a local high school in Western Sydney to provide scholarships to hardworking students who need an opportunity to continue their education. GSL Electronics also supports the work of Blue Light, which is aimed at putting the StreetSmart (Drug and Alcohol Awareness) handbook into the hands of high school students. With the support of our loyal customers we will continue our involvement in these projects. "I ordered a brake controller last year while visiting the Sydney Caravan and Camping Show. When I received the EBC-12 it only took about an hour to replace the old controller. The EBC-12 has not given any trouble and I find it so simple to adjust when required. Please pass on my congratulations to the people who helped build a great product." "7,000 km trip through South Australia..."
"Just to let you know that I'm very happy with my GSL Solar Charger and the MCB1225 converter that I've fitted to my camper trailer. I have really tested the solar charger with a 7,000km trip through South Australia and the unit was subjected to endless kilometers of jaw breaking corrugations and dust that finds its way into everything. I had a fridge, inverter and lights connected to the batteries and not once did we have a problem with battery power and the unit is still going strong. Two of my friends have now also bought the GSL solar charger and they were very happy that their batteries were in a better state at the end of the weekend that what it was when we arrived on the Friday evening, despite all the fridges and lights connected to it." "Significant new market for extracting higher power …"
"The GSL Maximum Power Point Tracker achieved a unanimous vote from the judging panel. The use of an innovative digital platform to reduce the part count, cost and size of these devices opens up a significant new market for extracting higher performance from all solar panels used in off-grid applications from local street lighting to village power in Africa."